Find everything you need for your any live sound event. Browse our selection of Mixers, amplifiers, subwoofers, speakers and cables – View our live sound equipment now! Professional sound reinforcement gear you'll need for events as small as a local club to as large as a halftime show. High-quality and durable construction - works great for events, parties, concerts, churches and more. Everything you need for live sound reinforcement can be found right here. All the equipment in the Live Sound category is designed to help you put on the best show possible. 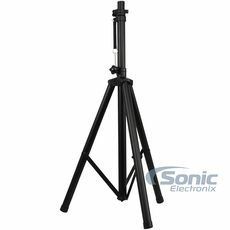 Sonic Electronix has been outfitting DJs, sound engineers, and bands with their gear for years. Browse our extensive catalog of live sound equipment here. Make sure to check out our Live Sound Mixers. These mixers are specifically designed for proper sound processing at live shows and events. Power amplifiers are often rack-mountable and designed to give your speakers the appropriate amount of power. We carry amplifiers with a wide range of power output ratings. No event is complete without the loudspeakers and subwoofers that allow everyone to hear the music. 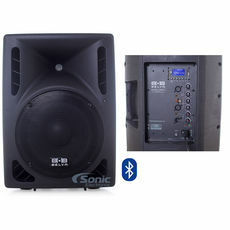 You will find a huge selection of PA loudspeakers and stage monitors from quality manufacturers such as JBL, QSC, Alto Professional, Mackie, Behringer, and more. 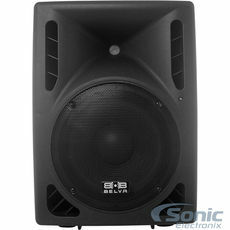 We also have a great selection of PA subwoofers (also called Bass Bins). These large subwoofers are the perfect way to hear and feel those deep bass notes. Browse our selection of live sound equipment including mixers, amps, speakers and more!